People usually invest in stocks on various companies and corporate houses with a view of making a profit and to increase their wealth. 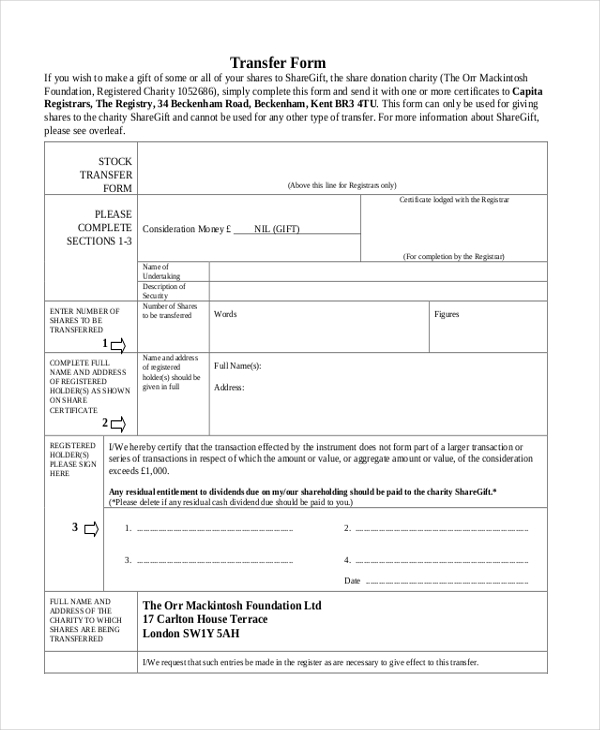 While selling the stocks, they are required to fill in a form and sign it to transfer the ownership to the buyer. 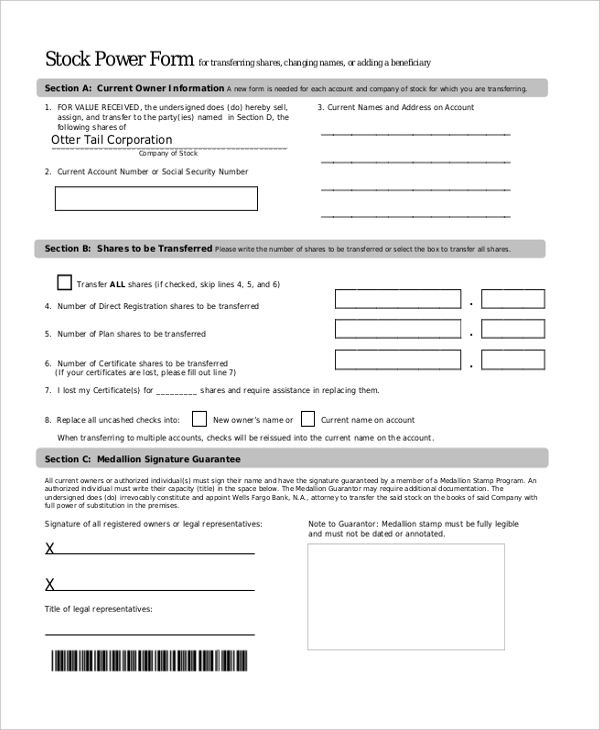 It is for this purpose that a Transfer Forms is used. The seller needs to fill in the details of the stock. The form also contains the clauses that guard this transaction. This is a blueprint of how an actual stock transfer form should look. It contains the key segments that should be a part of such a form. The user can further customize this as per his needs. When a person or agency sells certain stocks to another agency or person, this form is used to transfer the ownership of these stocks from the seller to the buyer. As the name indicates, this form is used to transfer the holding power of certain stocks from one person to another. This mainly happens during buying and selling of stocks. 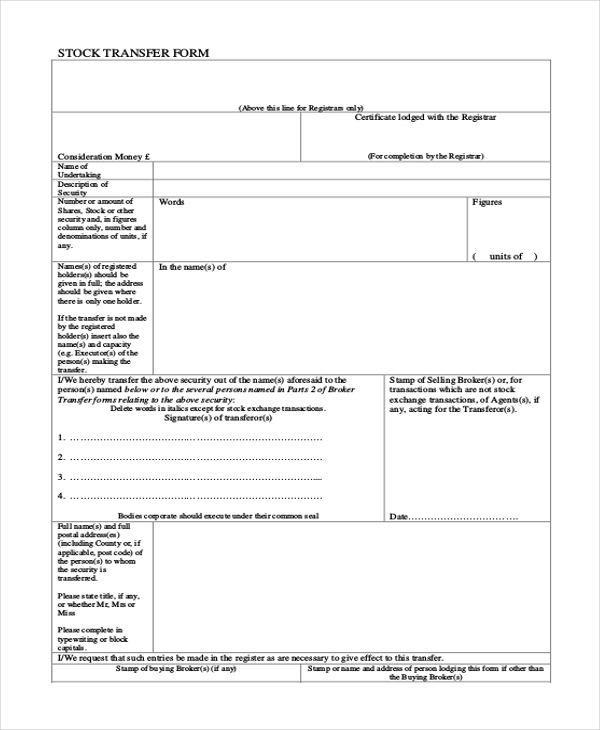 When two parties are engaged in the buying and selling of stocks, they use this form to sign an agreement that legally binds them to follow certain regulations. 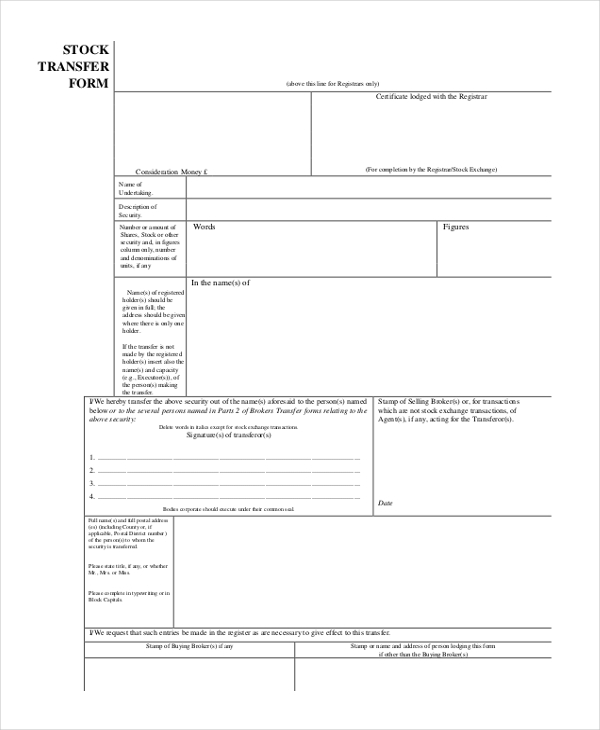 This form is used by an organization to transfer its stocks within its employees or partners. The form helps to reassign the stocks to the new owners. 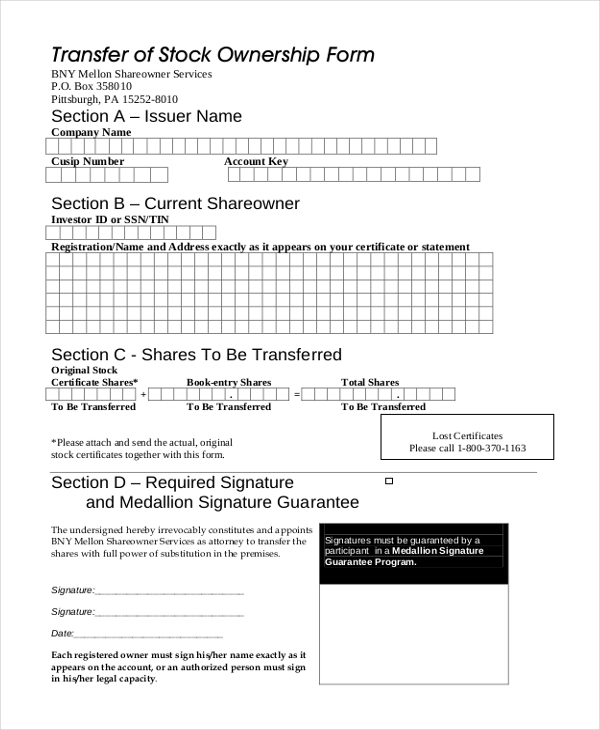 Usually, when a person wishes to sell his stocks whose certificate he may have misplaced or lost, he can use this form to transfer the stocks to the new owner. 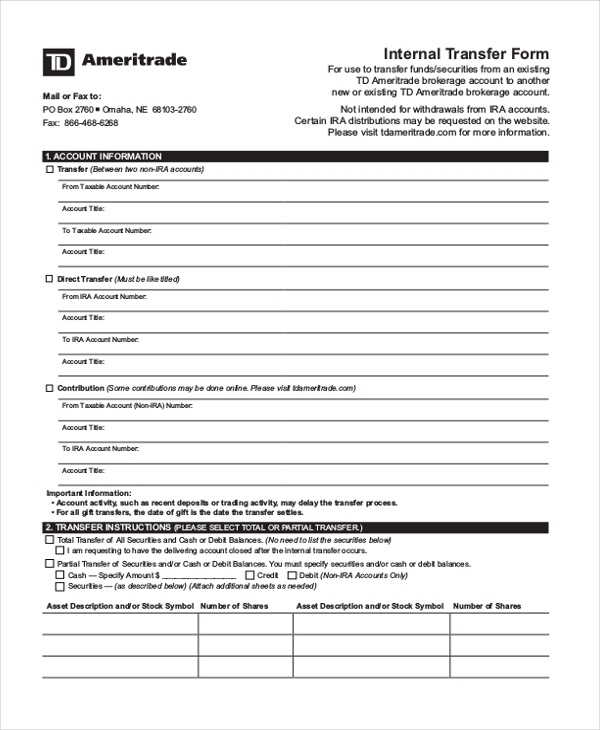 This is a standard format of a stock transfer form that contains all the crucial segments. The user can further customize this form to meet his requirements. 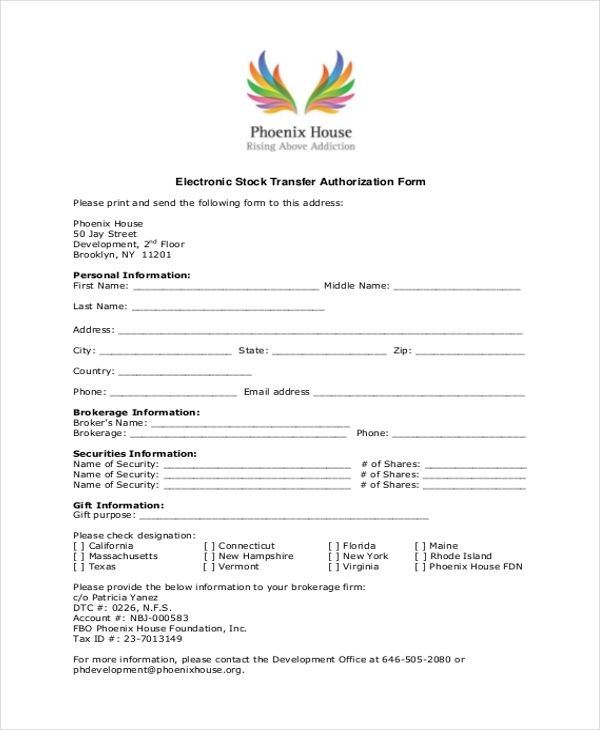 When a seller of stocks intends to electronically transfer the ownership of the stocks to the buyer, he is required to fill in this form. This form is used to transfer the ownership of stocks that are jointly owned by two or more parties to the buyer of these stocks. 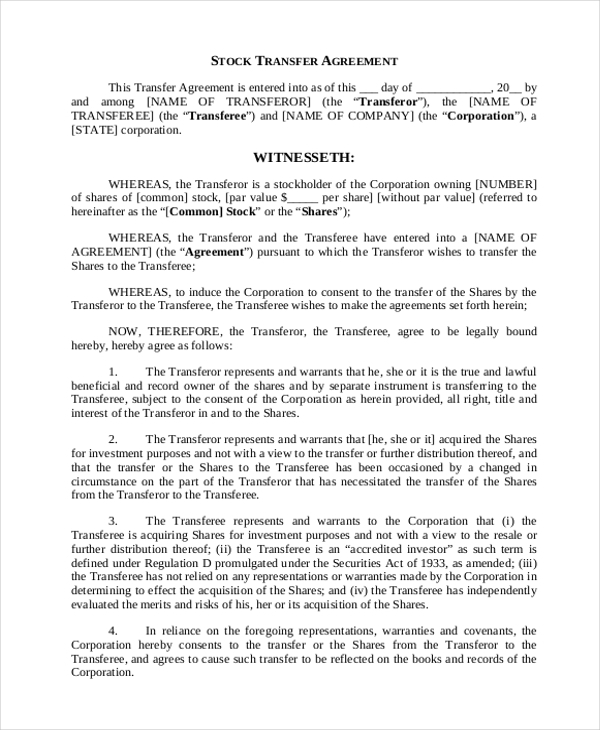 What are the Benefits of Using Stock Transfer Forms? 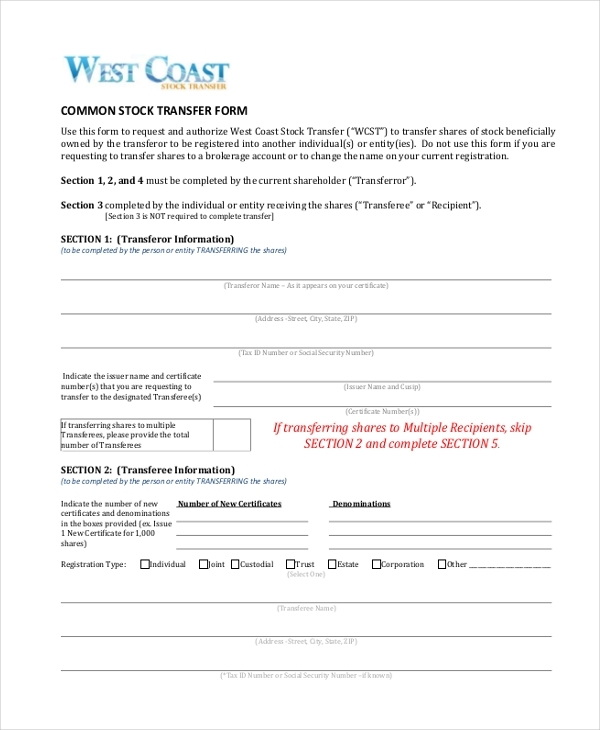 How to Format Stock Transfer Forms? Start by inserting the name of the organization or agency in case one of these is involved in the transaction. Else you can just use the name of the form. Below this should be two separate segments, the first one being where the details of the seller would be entered and the second for entering the buyer’s information. This should be followed by the details of the stocks being transferred. You can also add in certain clauses that would help in guarding the transaction. In the end, leave out some space for signatures and seal. You may also see Vehicle Transfer Forms. A stock transfer form is more of a legal document and thus, should be designed with a lot of care and detailing. In case, you do not want to hire an expert for this purpose, just go ahead and find the perfect stock transfer form from our vast collection. Download this and make necessary changes to customize the form.You can also see Vehicle Service Forms.